President Recep Tayyip Erdoğan speaks at the Justice and Development Party (AK Party) provincial leaders meeting in Ankara, Sept. 14. The Turkish government will sustain its commitment to fiscal tightening by cutting down public spending and boosting savings in order to ensure public fiscal balance in all areas including investments and current expenditures, with the aim of ensuring economic rebalancing and cutting inflation and the current account deficit. President Recep Tayyip Erdoğan reiterated the government's dedication to a massive fiscal discipline plan and emphasized that the public sector has so far taken significant steps to reduce expenditures and limit investments to support public fiscal balance at a meeting of the Justice and Development Party's (AK Party) provincial leaders in the Turkish capital Ankara on Friday. Since investment expenditures constitute an important bulk of the budget, the government also revises the projects and will prioritize those that are close to completion. "We will plan our investments in accordance with how close to complete they are. Those projects that are nearly 90 percent complete will be prioritized. Right now, we are not planning 'from scratch investments' that will require huge amounts of spending," the president said. Erdoğan added, "There could be extraordinary and must-do investments, that's another issue." The president also reassured the media that ongoing investments will continue. The president also that all ministries will reasses their investment stocks and prepare a list of prioritized investments. "Budgetary balance will be supported through substantial savings in public spending," he said. In an address on Thursday, the president also said that the government will take further action to prevent volatility in foreign exchange rates and will never abstain from taking appropriate decisions to steer Turkey out of the current situation. "The Turkish government will solve all issues affecting the economy without leaving the boundaries of the free market system," Erdoğan said. Referring to the plans of the Turkish Treasury to diversify financial resources, the president called on the Turkish public and Turks living abroad to seize the opportunity of gold and eurobonds and lease certificates the Treasury will issue soon. He also added that the government continues efforts to develop alternative financial resources abroad. This period Turkey is undergoing offers great opportunities to increase domestic production, the president said and stressed the necessity for the private sector to continue investments, particularly export-oriented investments. 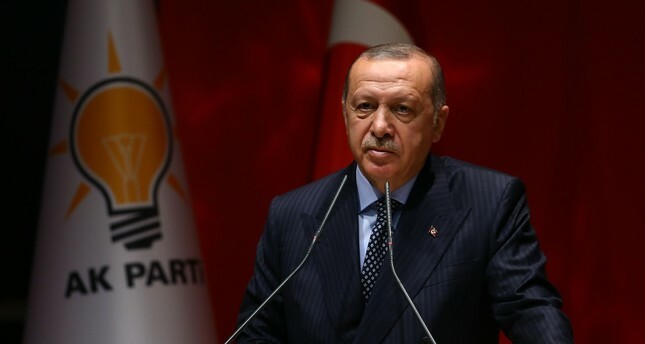 With regards to the recent currency fluctuations in Turkey, President Erdoğan emphasized that the currency volatility has political reasons, describing the surge in the U.S. dollar/Turkish lira rate in August as "evidence of an attempted economic assassination." The recent fluctuations have also shown that no country in the world was secure politically and economically, Erdoğan said and added that concerned voices have been heard in the European Union (EU), China, Russia and India about the politically motivated economic pressures. "Yesterday the central bank carried out the very much talked about interest rate hike and did this at a very high level," he said. The lira which hit a record low of 7.24 against the dollar a month ago while inflation hit nearly 18 percent in August. The Turkish lira has depreciated nearly 40 percent against the dollar since the beginning of the year with most of this loss occurring in August with the escalation of a diplomatic crisis between Turkey and the U.S. The political tension between Ankara and Washington sparked worry in markets in August after U.S. President Donald Trump threatened to use economic pressure over the legal case of American pastor Andrew Brunson, who is under house arrest in Turkey because of his alleged ties with the Gülenist Terror Group (FETÖ) and the PKK, a U.S.-designated terrorist organization. On Aug. 1, Washington levied sanctions on Interior Minister Süleyman Soylu and Justice Minister Abdulhamit Gül for not releasing Brunson. Trump announced on Twitter on Aug. 10 that he had authorized the doubling of steel and aluminum tariffs with respect to Turkey, another salvo in the growing dispute between Turkey and the U.S.